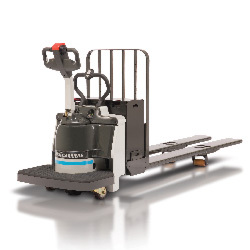 Up and down crowded aisles, in and out of coolers & freezers, racing to and from the loading dock, stopping and starting – our Platinum Series Pallet Trucks are engineered to offer unmatched reliability and performance. Superior maneuverability… maximum operator comfort… extraordinary durability… the RPX is designed to excel in all environments. 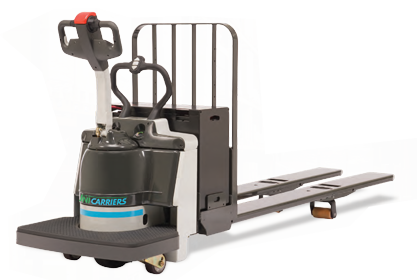 Built to deliver maximum uptime and the low cost of ownership of a UniCarriers forklift. Rated at 6,000 – 8,000 lbs. with the largest operator platform in the industry. Exceptional operator comfort and control. 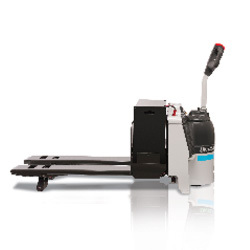 Capacity of up to 8,000 lbs. Longer run times from every battery charge. Ease of maintenance and reliability. 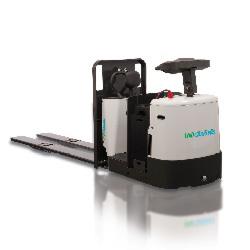 Beyond its superior maneuverability, the WLX offers advanced ergonomics to improve operator comfort…a robust iron cast frame for durability. 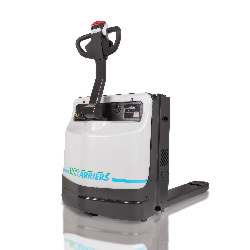 Built to be extremely durable and designed for easy service, the WPX provides you with the uptime performance you need to maximize productivity.